Search Engine Optimization, also known as SEO is the process of getting web traffic from organic search results on various search engines. Major search engines such as Google, Bing and Yahoo have primary search results, that web pages and other content, such as videos or local listings, are shown and ranked accordingly, based on what the search engines consider to be the most relevant to users. “Content is king” is a phrase that has been repeated over and over again when it comes SEO. There is a reason for that! 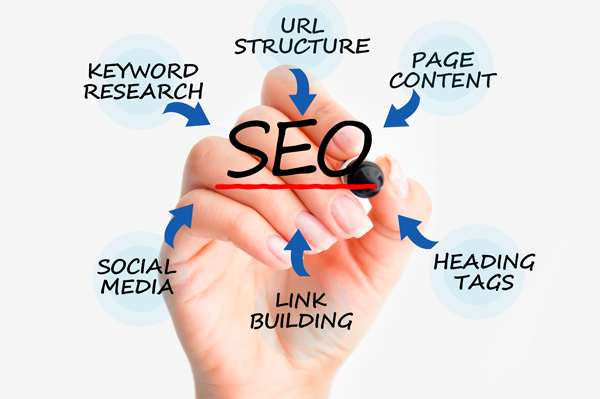 Good content is the very first element in creating a strong SEO campaign. If the content is good and relevant, then you’ve created a solid foundation for all of your other SEO efforts. Our digital experts can help you create excellent content by using long-tail keywords, the actual search terms people are using, that will set your website apart from your competition, and will enable the search engines to easily direct browsers to your site. Link building increases the number of high-quality links pointing to a website, increasing the likelihood of websites ranking higher in search engine results. Link building is a proven marketing tactic for increasing brand awareness as well. Ask our Digital Media Team more about link building. Keyword and long-tail keyword research is an important, activity in SEO efforts. We will do the research for you!